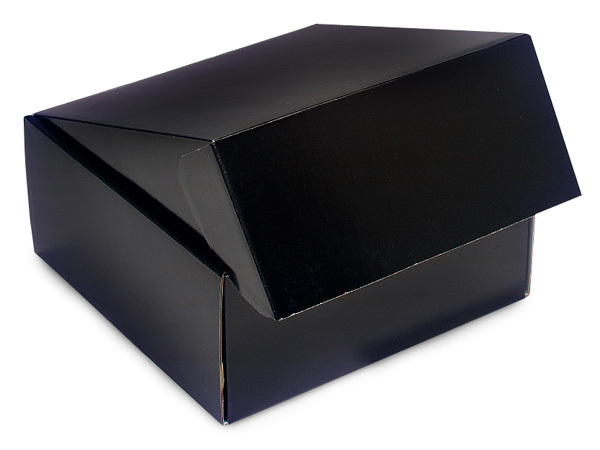 Solid Black Gloss Gourmet Shipping Boxes are 1-piece with fold-over lid. Perfect for gourmet gift packaging! Outer dimensions are: 9-3/4 x 9-3/8 x 4-1/4".